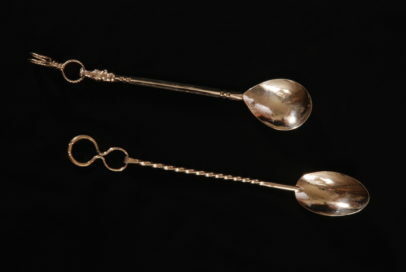 Create a one of-a-kind small serving, baby, table, or commemorative spoon. It's not as complicated as you might think! 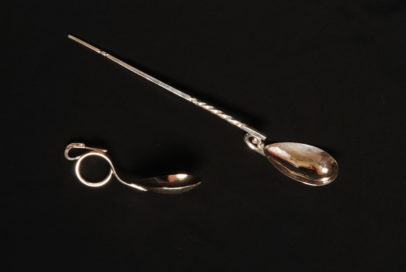 In this workshop, students can choose among several techniques for creating a personalized spoon. This is an excellent introduction to the basics of smithing without the time and expense of raising a large vessel. 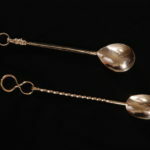 Spoons are a great gift idea and a marvelous opportunity to explore forging metal to create something other than jewelry. Copper will be provided; however, students are welcome to work in silver. No experience necessary.